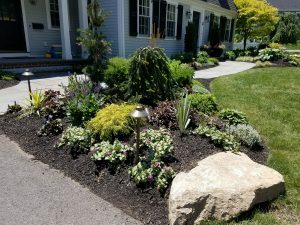 When we analyze a client residential outdoor project at IVY STUDIO, LLC, a landscape design consulting firm based in Massachusetts, we always examine environmentally sound design options through our selection of sensitive design options. This is true when it comes to aquatic focal point features like the swimming pool and spa and the equipment that functions their operation and cleansing. Also true for new and cleaner disinfection technologies, hybrid, electric, gas and solar heating options and low consumption L.E.D. lighting. When designing the landscaping component to the expanded outdoor environment featuring pool and spa, we also examine sustainable landscapes that are responsive to the environment and are regenerative and can actively contribute to the development of healthy communities. They help sequester carbon, increase energy efficiency, clean the water and air, restore habitats and create value through social, economic and environmental benefits. Contact IVY STUDIO, LLC at 781- 591-0300 or vern@ivystudioma.com to learn how our sensitive process can turn your outdoor expansion project green.